This week I’m playing with my new watercolor palette which will be available in my shop too! What I love the most about this palette is the number of colors you get in an amazingly compact palette. This is the perfect watercolor set for travelling and creating on the go. It’ll fix into your purse and comes with a water brush. 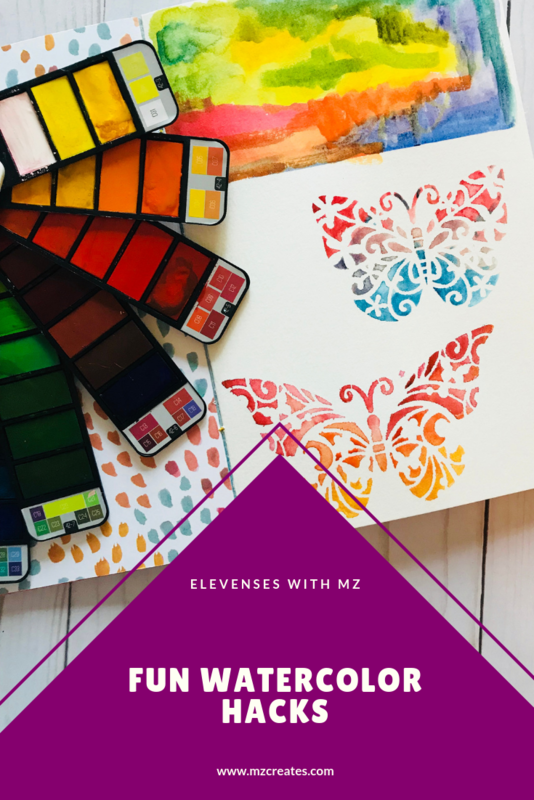 Together with a small watercolor journal this is all you need to create beautiful watercolor paintings. In this video I will show you one of my most favorite hacks. It will make you look like a pro watercolorist and it is so so simple. I’m using adhesive stencils (I’m going to be stocking these in my shop too!) and my palette and that’s it. These small watercolor paintings can be used as embellishments and as cards and tags and art journal pieces. The possibilities are endless! I also show you my new watercolor journal that I created a few episodes ago. You can view that video here. I’ll see you next time! Till then let’s create!